Engage children in learning about seasonal happenings and weather with illustrated chart. 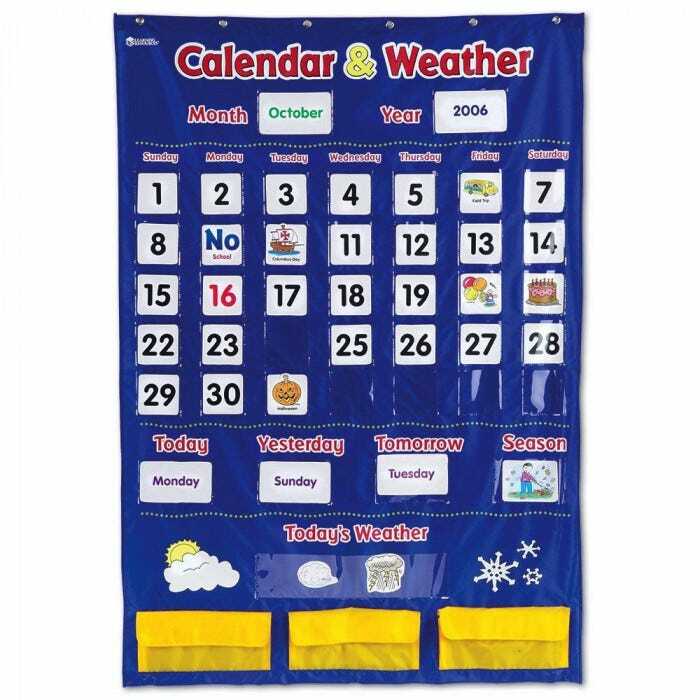 Large chart provides a fun way to start the school day and is a great visual aid for teaching young kids about calendars. Explore days of the week, months, years, weather, seasons, holidays, and special events. Invite children to update the chart daily. Pictures allow nonreaders to be included. Blue nylon background has clear plastic pockets to hold laminated cards. 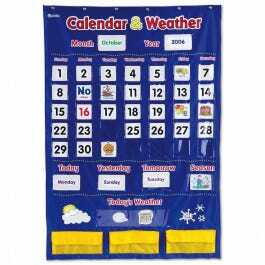 Features 136 double-sided, full-color cards with numbers, days, months, years, holidays, celebrations, seasons and weather conditions. 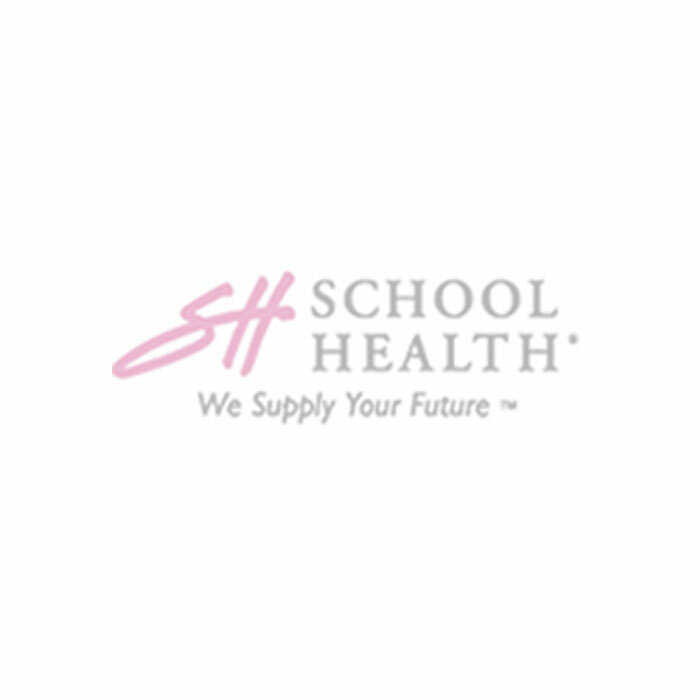 76 picture cards (including 12 blank cards), that can be placed on the calendar showing holidays, seasons, and special classroom events like field trips and the last day of school. 19 word cards displaying the months and days of the week, and 41 number cards that show the years and dates. Sturdy chart with hanging grommets, 30-3/4”L x 44-1/4”H. Includes activity guide.